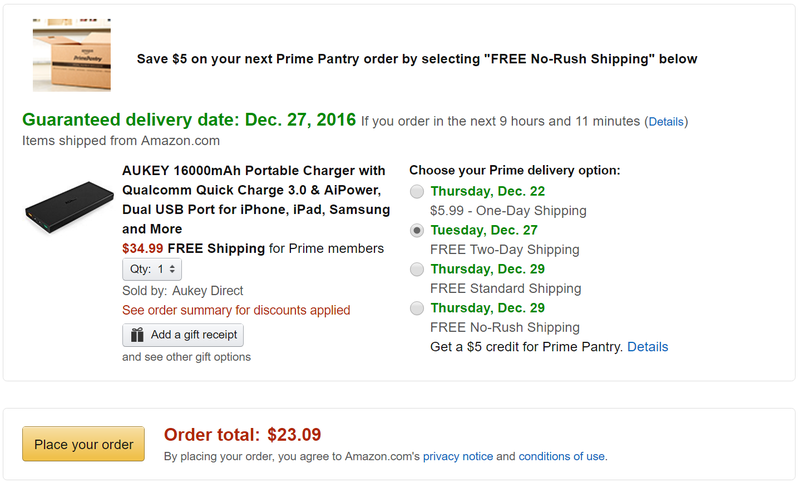 I hooked you guys up with a sweet deal on a QC 3.0 car charger yesterday and today I've got another charger deal to share with you. This time it's on a device that will keep your gadgets fueled up while you are out and about. Aukey's 16,000mAh battery is on sale on Amazon for $23.09, down from $34.99. That's a savings of about $12, and the lowest price ever on this particular battery according to the triple camel. To get the discount, all you need to do is add the battery to your cart and apply the coupon code 7AGVT8QH at checkout. Now for the specs. 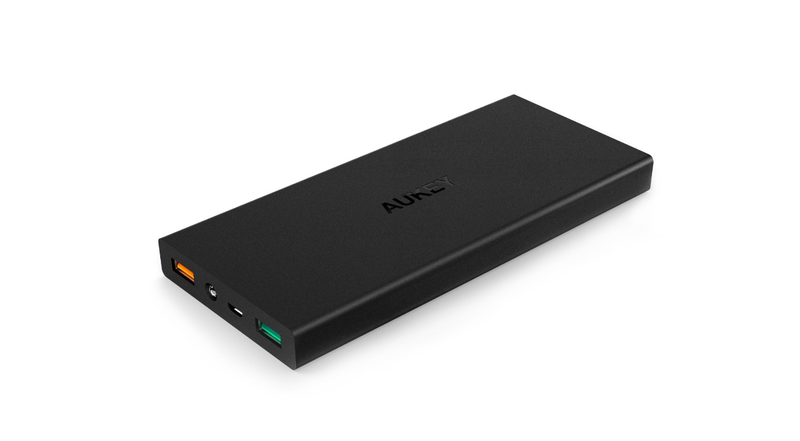 The portable power pack features two charging ports, one 2.4A port, and one QC 3.0 port. It also rocks a single LED flashlight and a power button that changes color to indicate its current charge level. Nifty! Included with the battery is a 20cm MicroUSB cable and a 24-month warranty. The only color it comes in is black. If you want to grab one for yourself, or as a gift, you know what to do – follow the link.